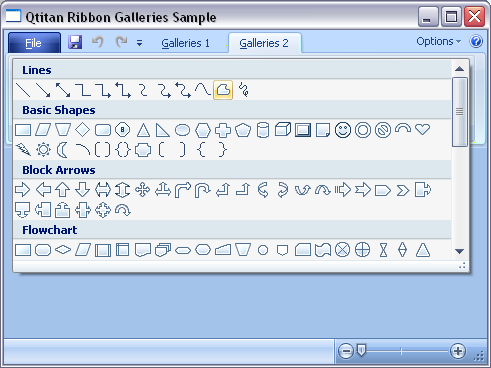 Ribbon Gallery - is a modern type of control elements in the Fluent UI specificity. It is used in order to save space on the ribbon, collecting into the group other elements. 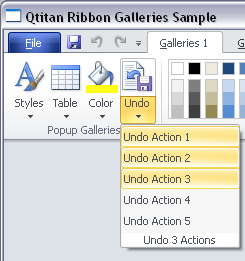 Most importantly, the gallery allows you to select variants its presentation at the ribbon bar (see Figure 1). In most cases, only a small part of the elements of the gallery is visible (see Figure 2). However, using the scroll bar allows access to the remaining items at the gallery. 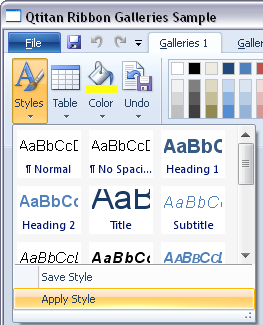 In addition, there is a button causing a popup window that displays all the menu items (see Figure 3). 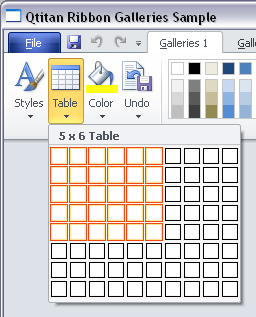 Separation the elements of the gallery into categories allows the user to easily find relevant items (See Figure 4). 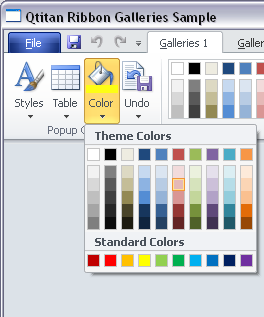 In some cases, the gallery can be embedded in ordinary button as a drop-down menu. 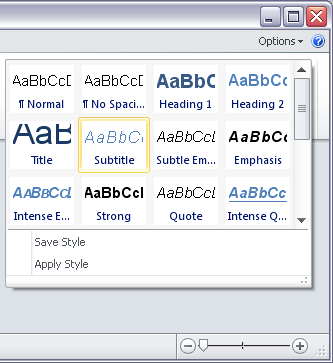 This allows the user to create controls, easy to use (see Figure 5).